We’re so lucky to have a great team in the riding centre and livery yard, delivering the service you expect and deserve. I have worked full time at CEC for 10 years and am yard manager, responsible for the Riding School & Livery. I have been riding since I was 9 years old and currently have 2 horses. I have achieved my BHS Stage 4 care. Having worked at CEC a number of years ago, as a working student. Kalie has now returned as a full-time member of staff, mainly working on the livery yard. She has been riding since she was 11 years old and has her BHS Stage 1 & 2 and her Riding and Road Safety. She is currently working towards her PTT. I have been working full time since September 2013, as a Junior Riding Instructor and Groom. I have achieved my BHS Stage 1, 2 and Riding and Road Safety qualifications plus Level 2 Diploma in Horse Care & Riding. I also organise training sessions towards ABRS examinations for the children her at CEC. I was born into a family of horse owners and have been riding since I can remember. I own my horse called Bonnie who is a 14.2 Welsh Section D. My favourite pony at CEC is Rosie. I am the full-time receptionist at CEC. I have completed my level Apprenticeship in Customer Services and since I started working her in November 2015, I have achieved my BHS Stage 1. I started riding here when I was about 4 years old but had a break in my teens. I am now working towards being a good enough rider for my youngster Eirik. I have many favourite ponies here but my ultimate fav is Madge. Dawn returned to the team here at CEC in December 2013 as a Senior Riding Instructor after several years working at Runningwell Equestrian Centre. Dawn has achieved her BHS stage 4 care exam and the BHS Intermediate Teaching Test. With over 30 years of equine industry experience she brings a wealth of knowledge and skill to the Riding School and Livery. Tracey works full time at CEC and is our Chief Instructor. She has worked at CEC for 9 years and is a BHSAI qualified instructor. I work full time at CEC as an instructor and groom. I started working at CEC as an apprentice groom and have now completed my BHSAI and Ride and Road Safety qualifications. 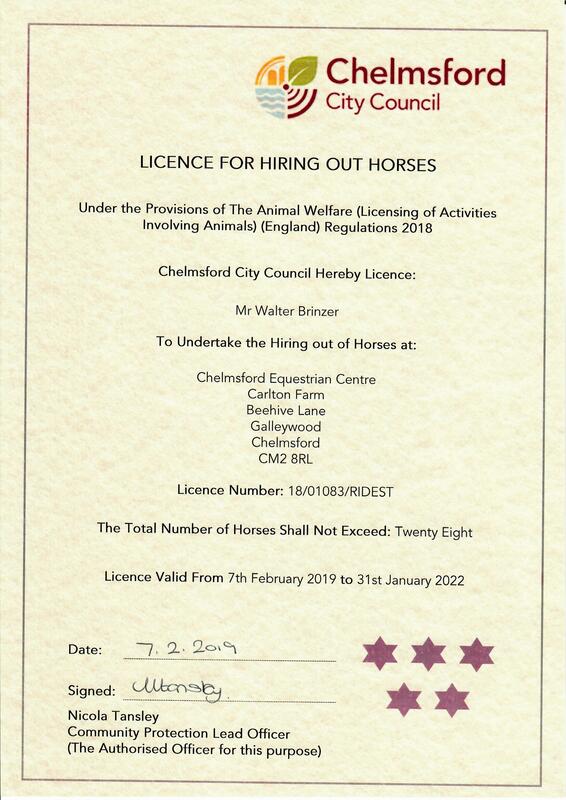 I have worked at CEC for 1 ½ years as a Apprentice doing my level 2 intermediate in Horse Care. I started riding horses when I was 7 years old and was completely hooked! I love being part of the team at CEC as everyone is friendly and we all work well together. My favourite horses are Sparky and Murphy. I try to ride as often as I can.